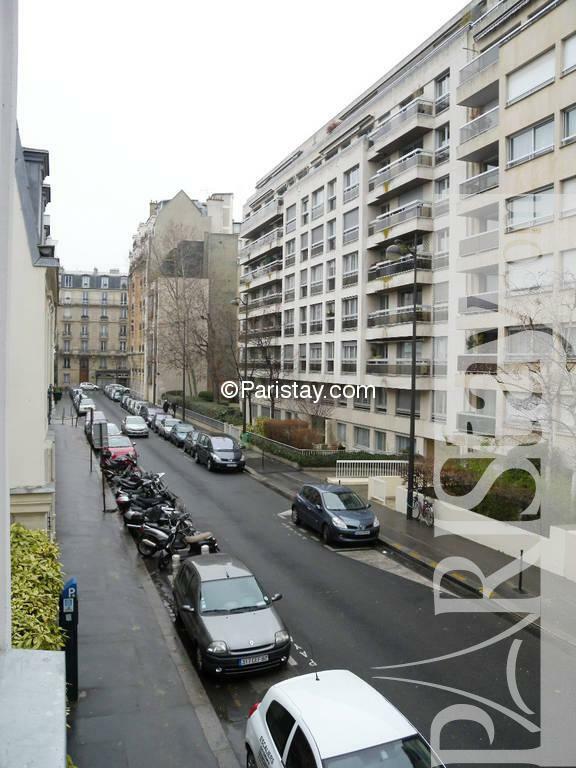 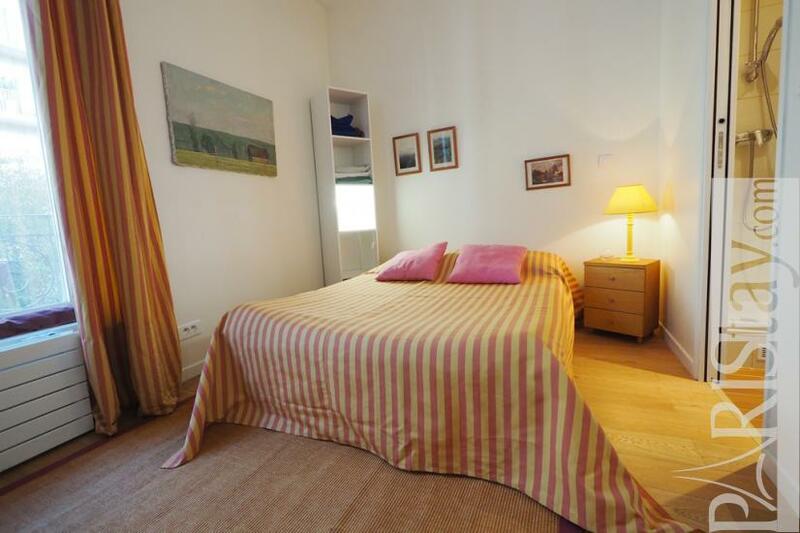 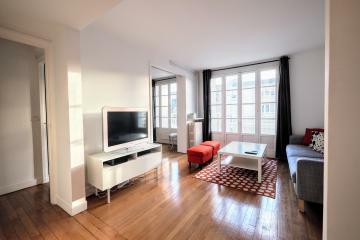 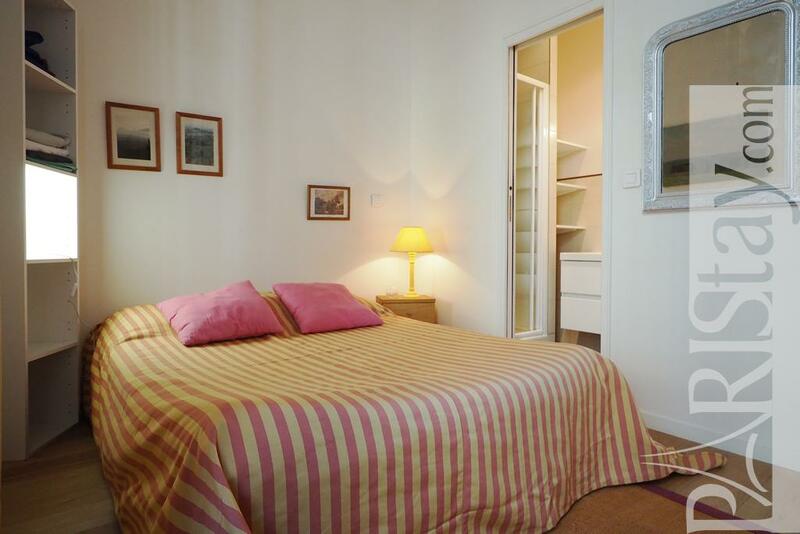 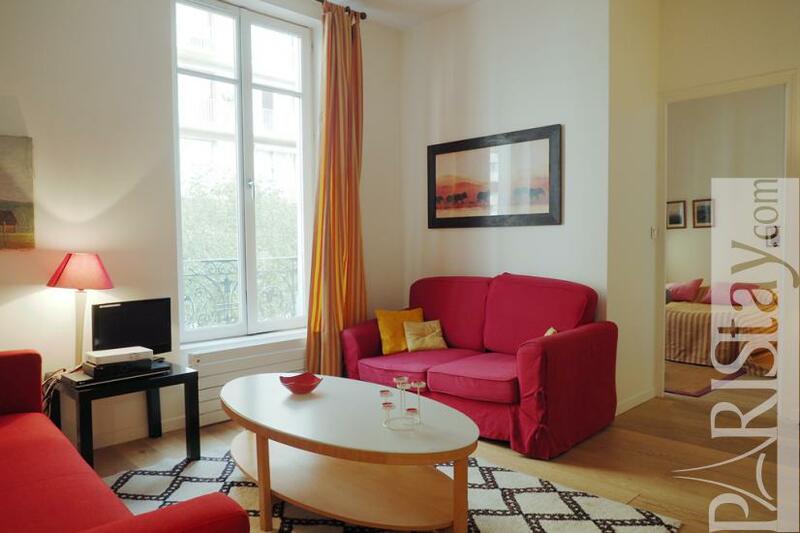 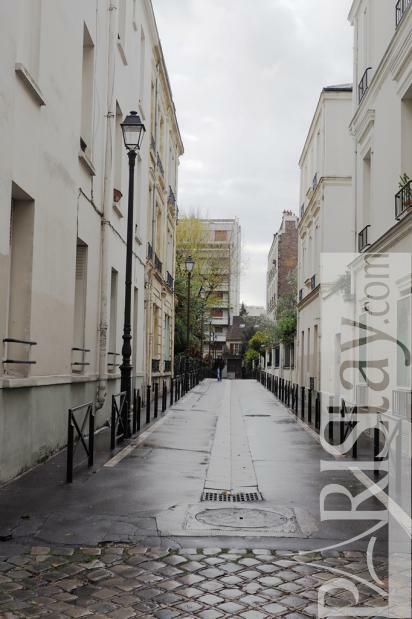 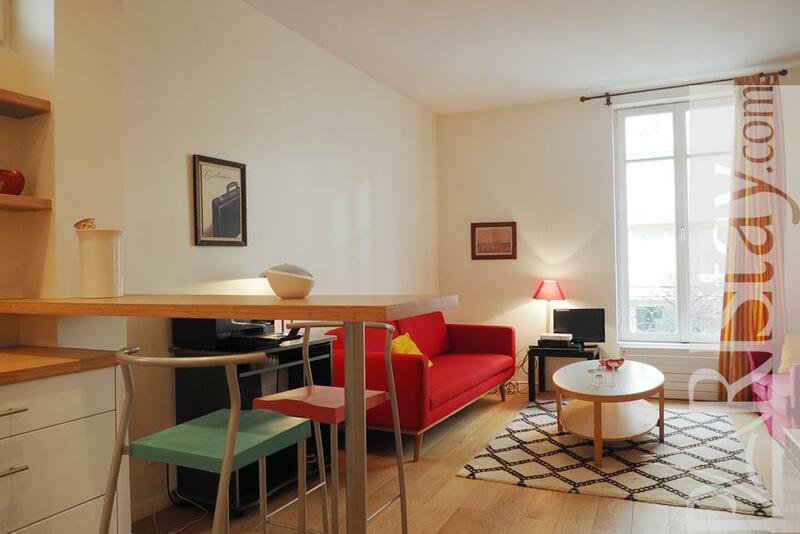 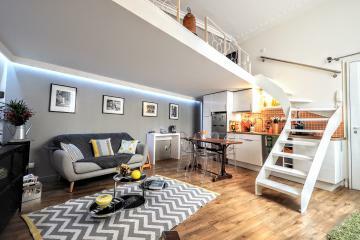 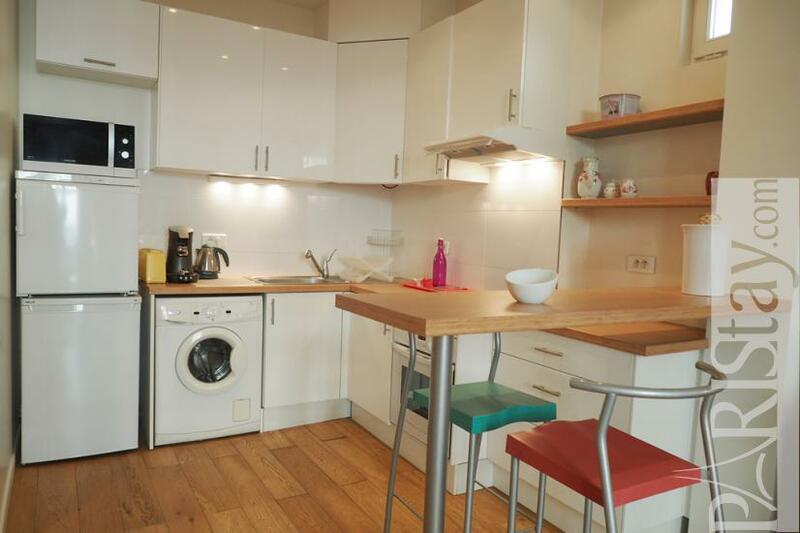 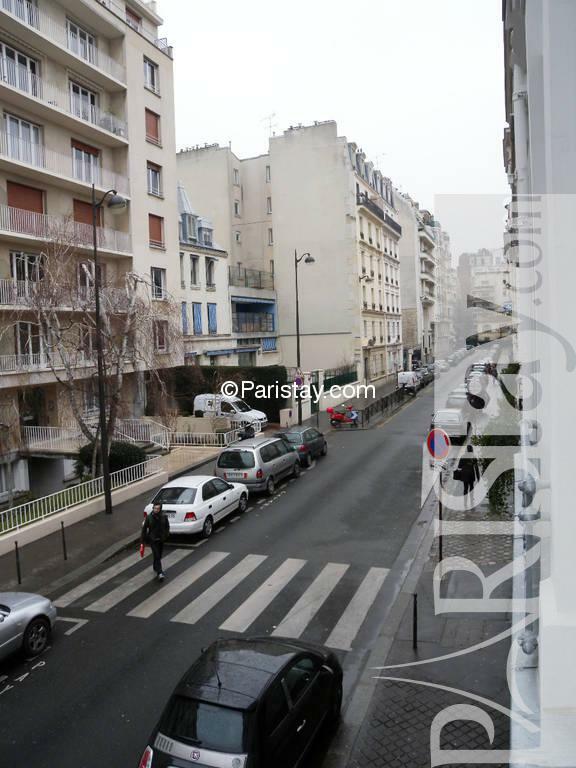 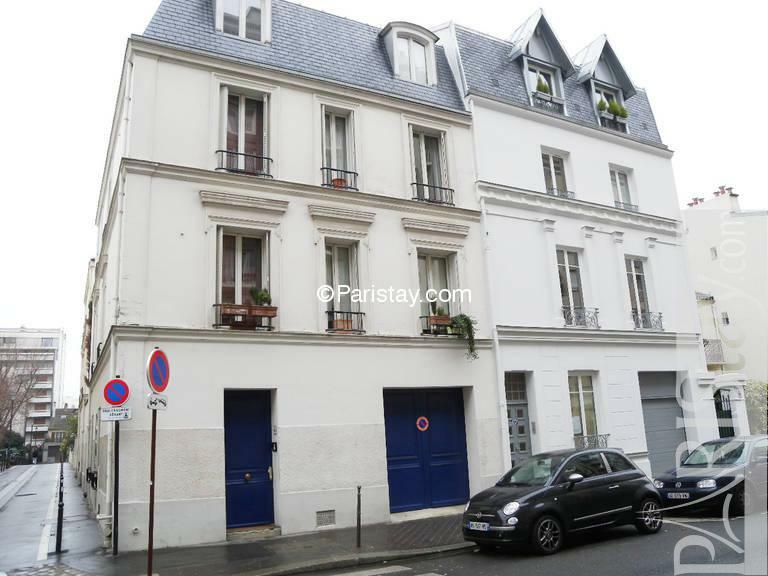 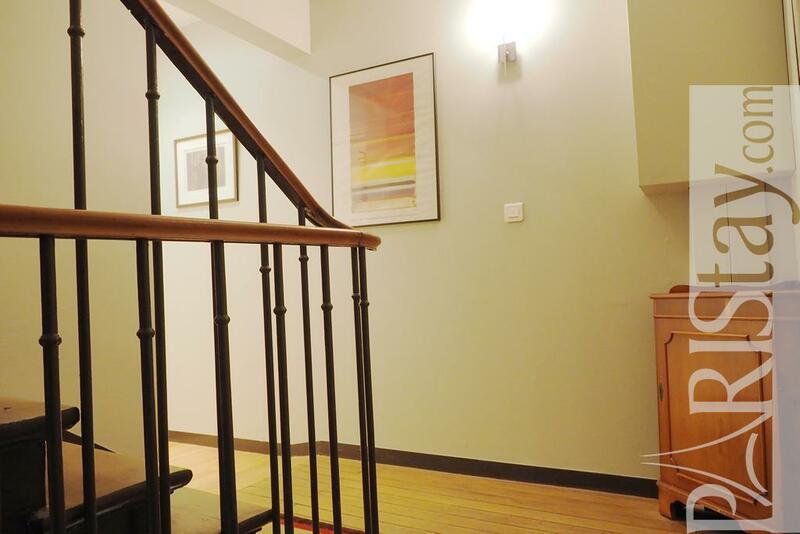 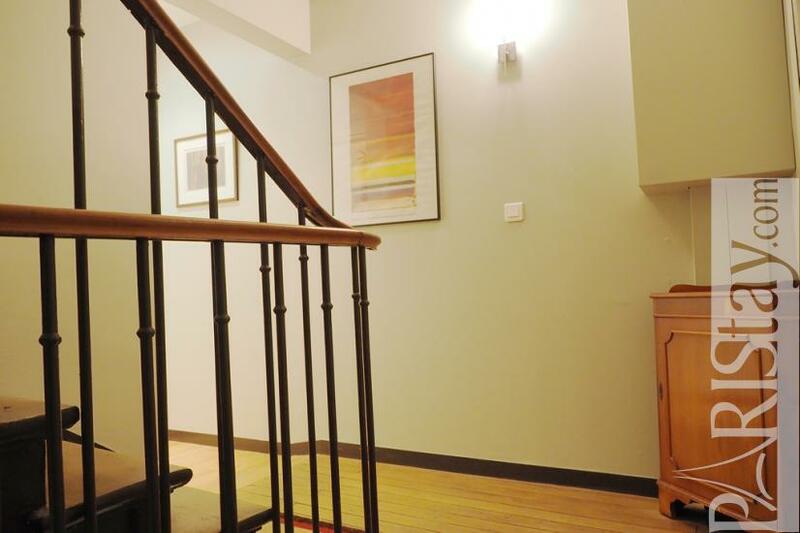 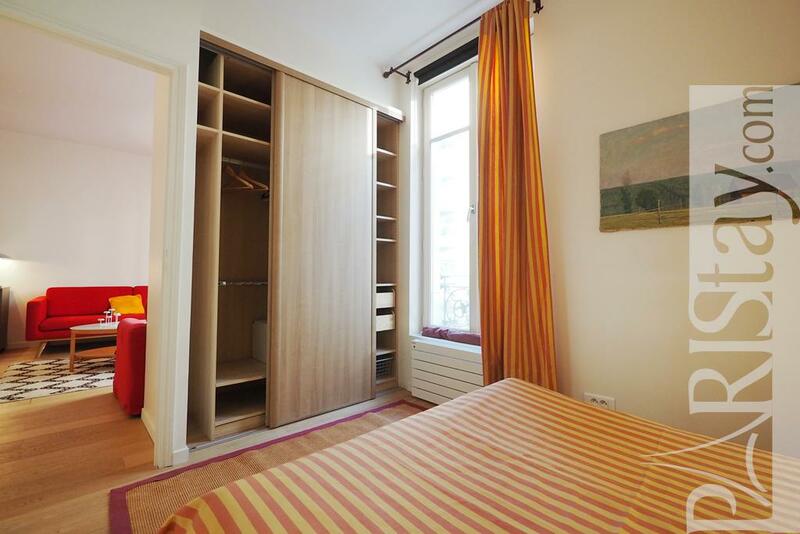 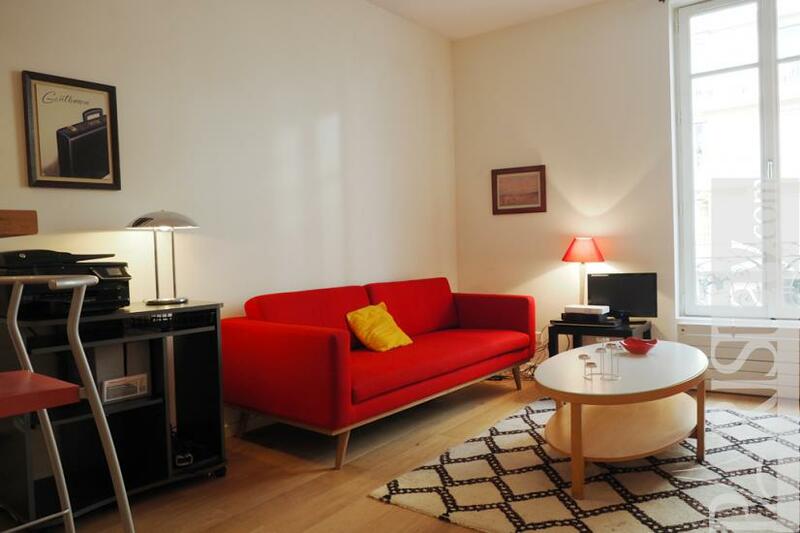 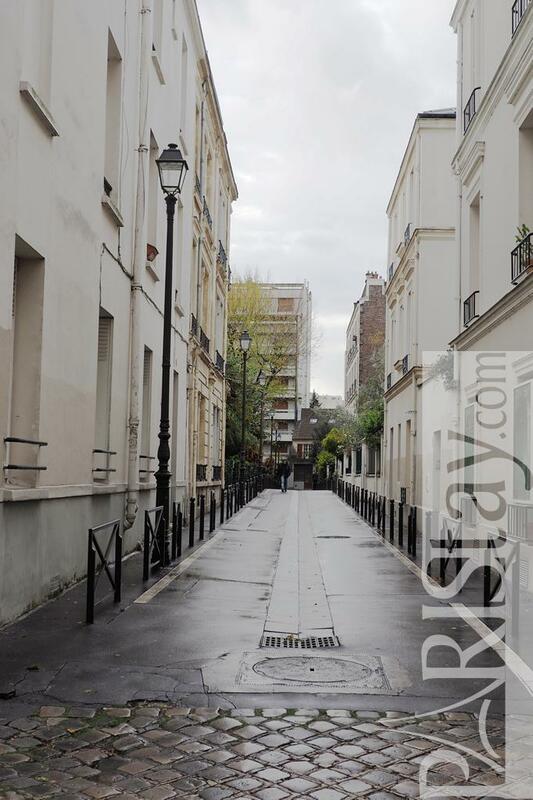 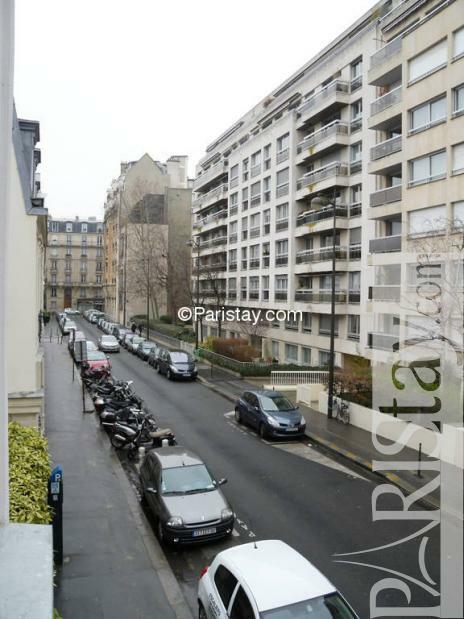 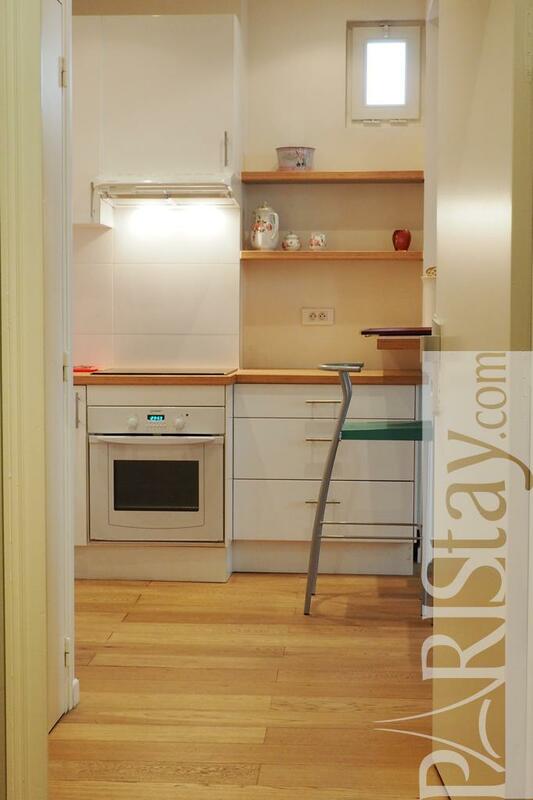 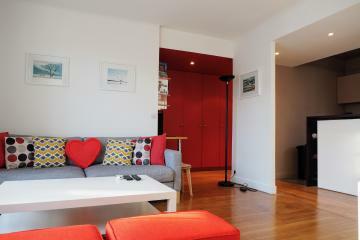 Cosy Paris One bedroom apartment located in the very elegant 16th arrondissement close to the lively Auteuil village, the lovely Bois de Boulogne and many of the most ilmportant business centers in town (Champs Elysées, La Défense, Boulogne, Issy les Moulineaux). 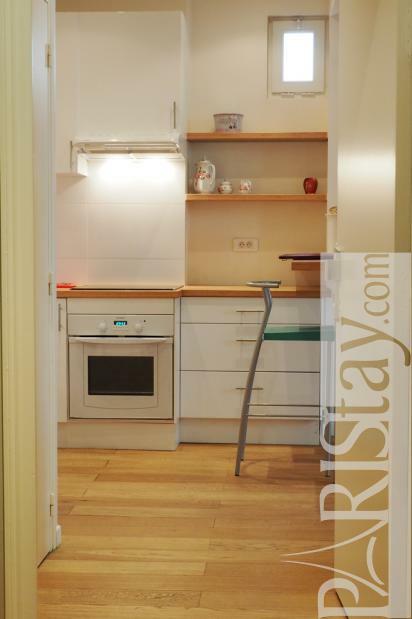 This apartment is part of a private house that has been totally renovated and tastefully decorated in a contemporary spirit and style. 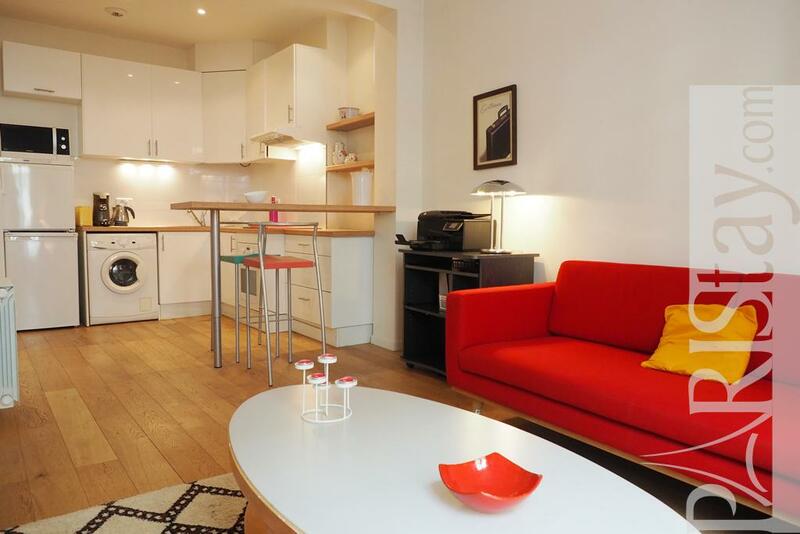 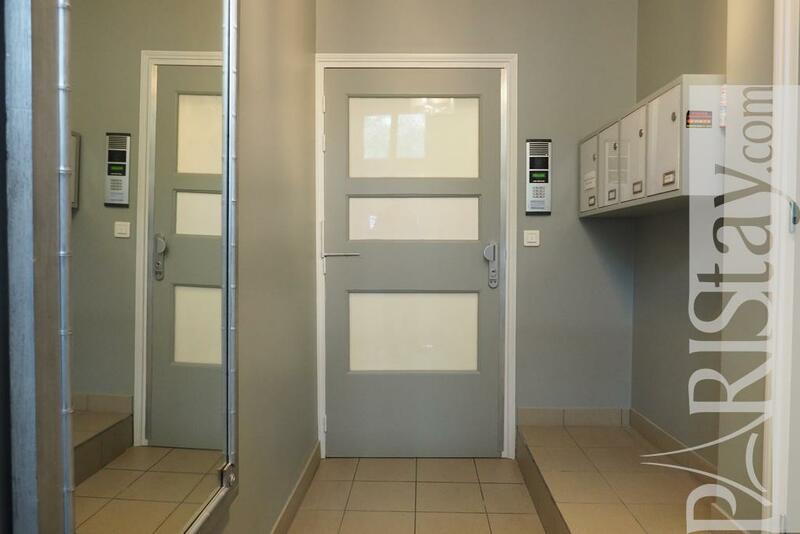 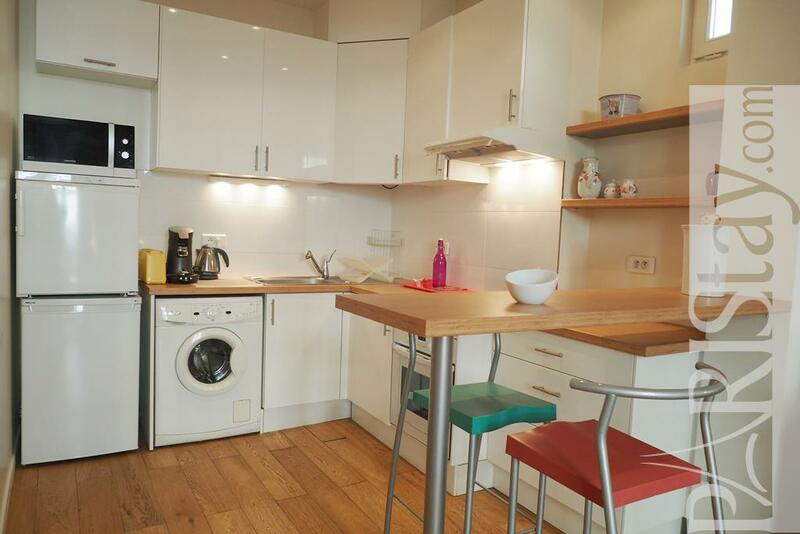 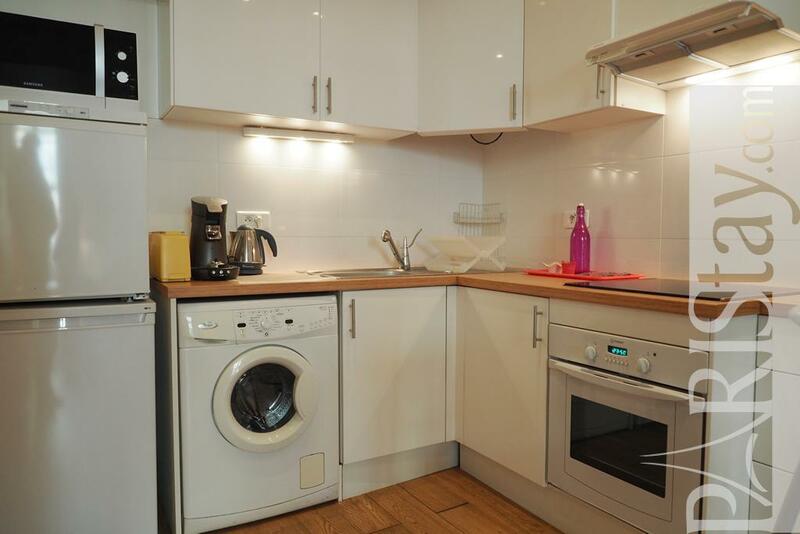 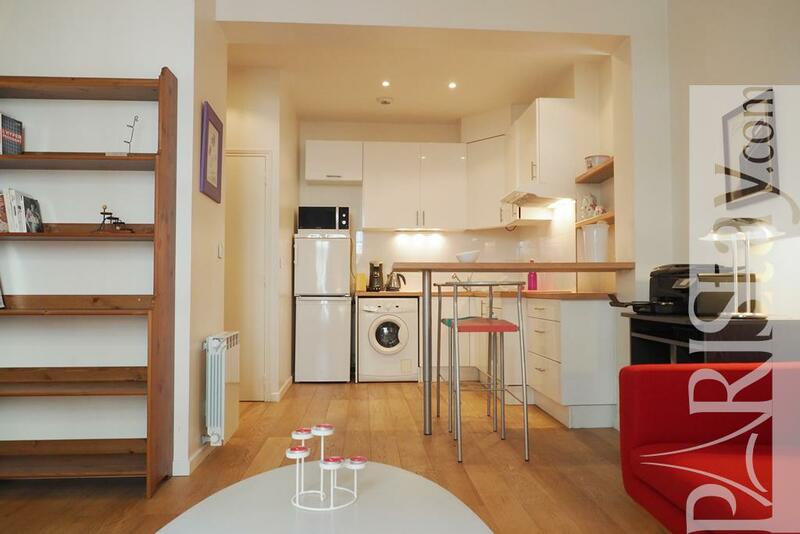 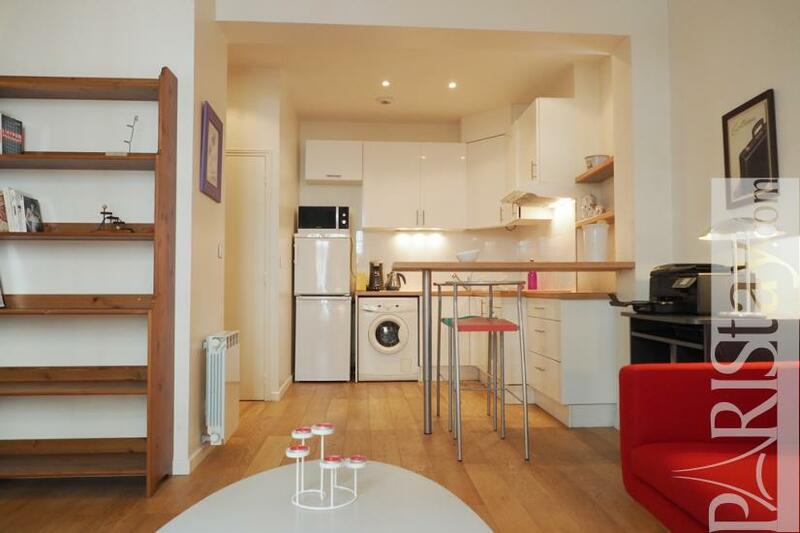 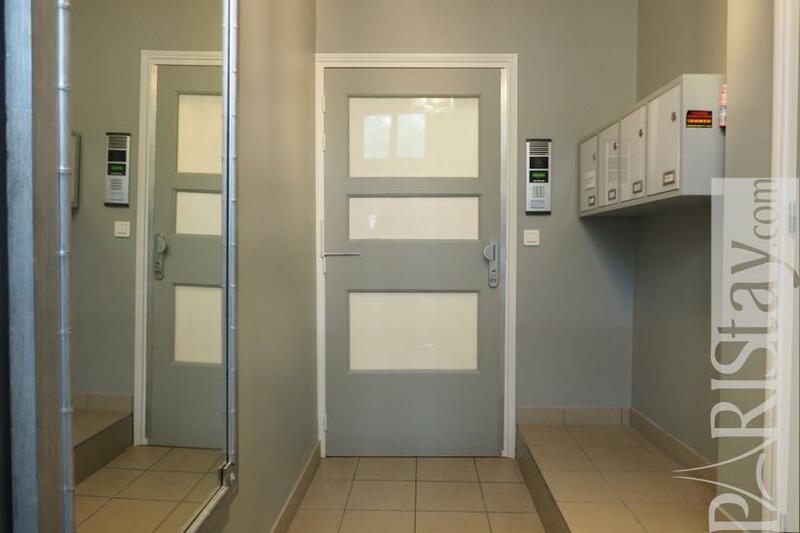 It presents a convenient floor plan offering a spacious and cosy living room including a fully equipped kitchen corner (with a bar that seat 4) : oven, microwave, nespresso, kettle, toaster, washing machine, dryer... 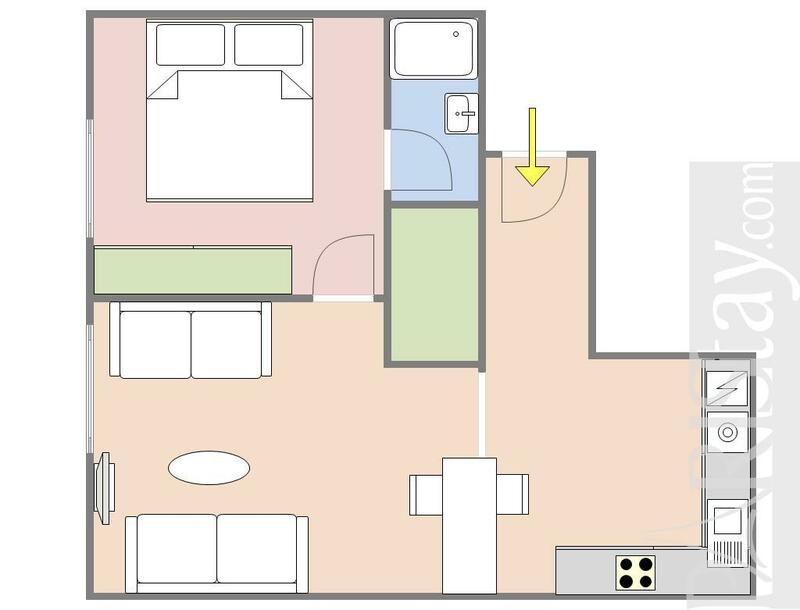 There is also a spacious bedroom offering a king size bed, a large cupboard for all storage and a direct access to the shower room. 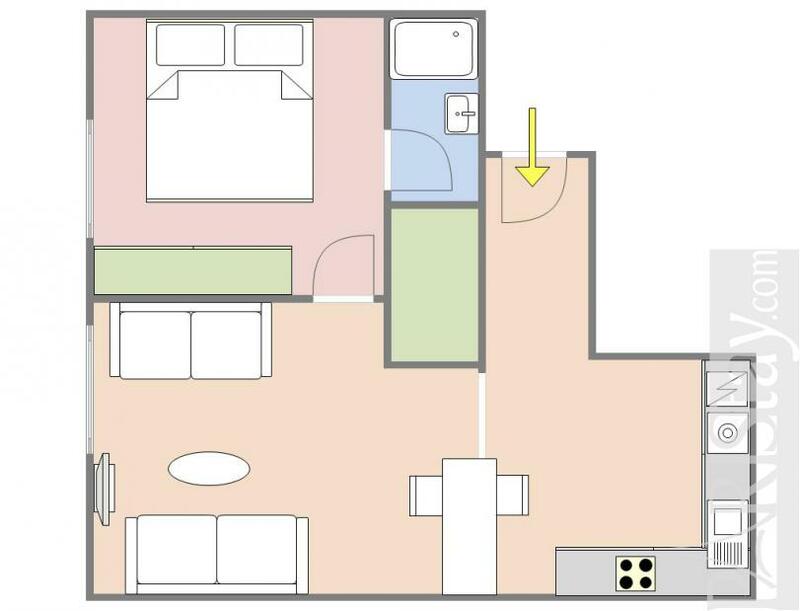 Separate toilet with a sink, unlimitted internet access. 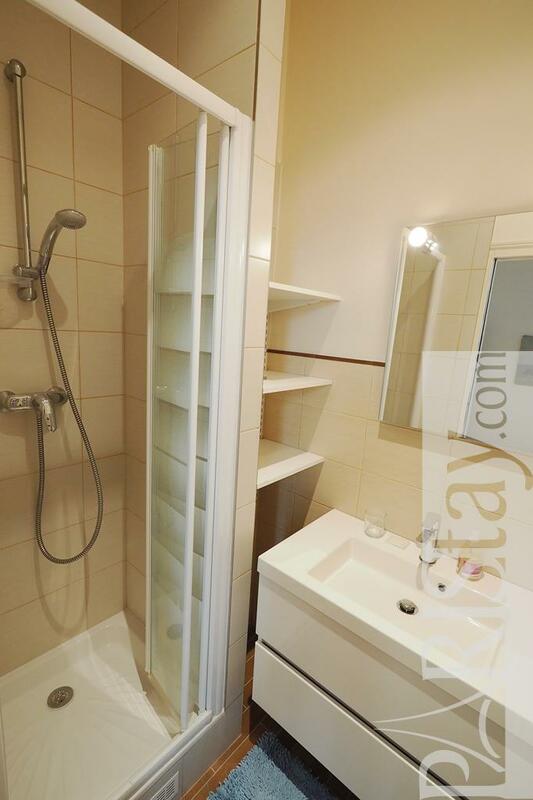 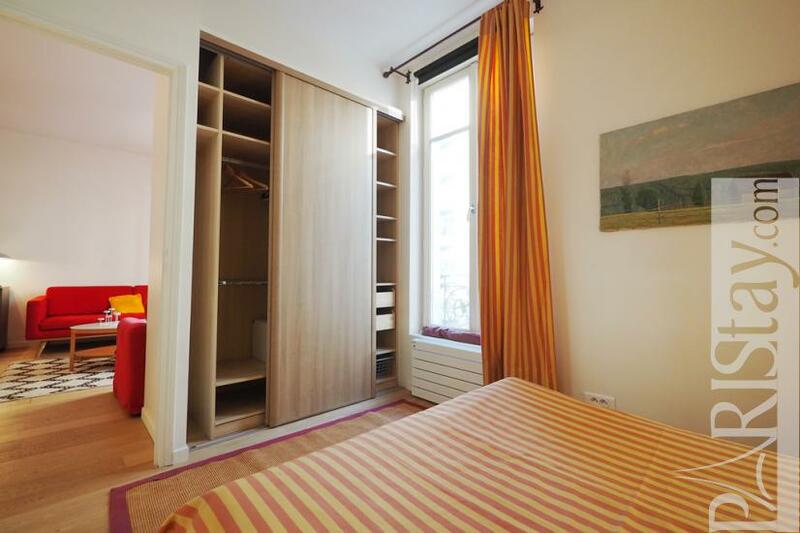 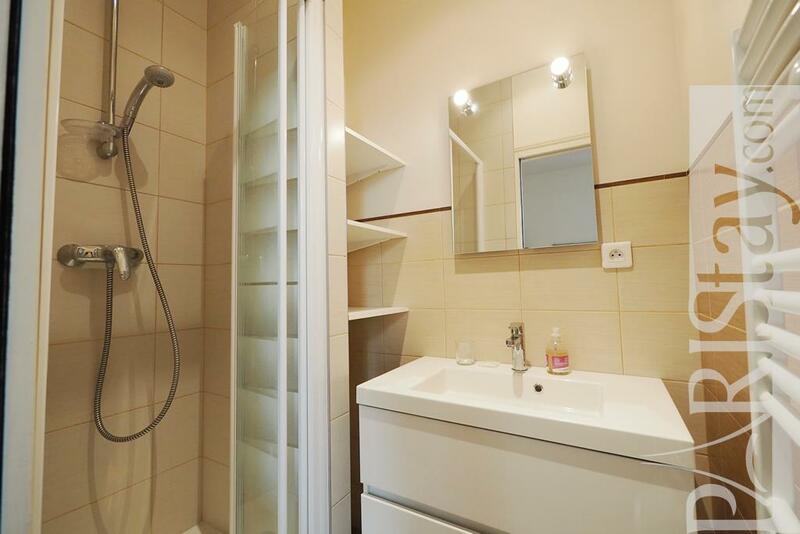 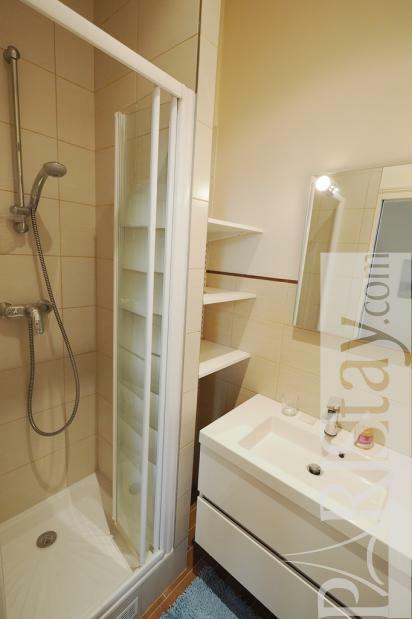 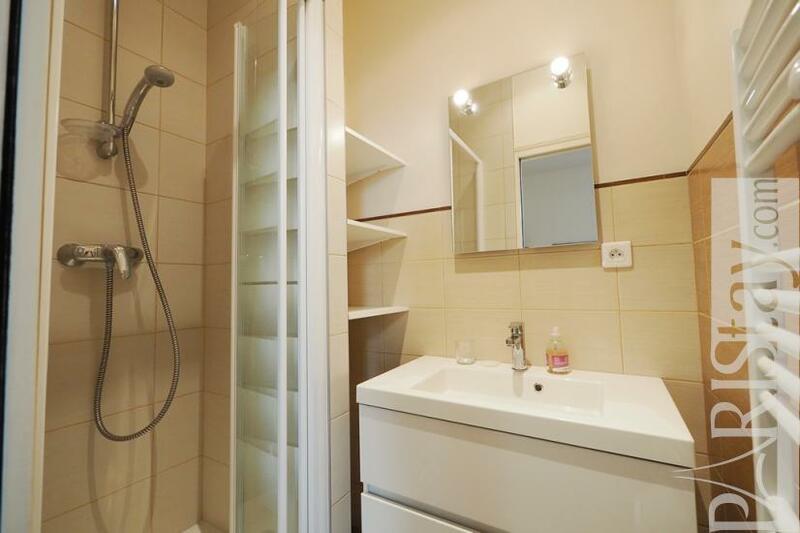 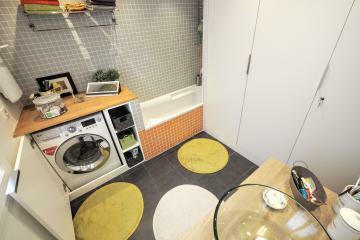 Perfect for a long term renting in Paris . 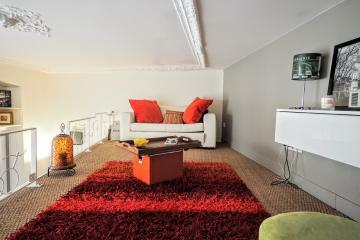 Please send us a request to check availibility. 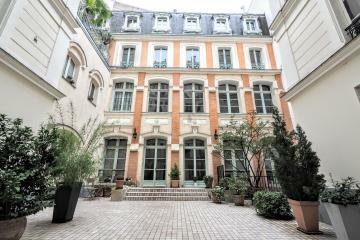 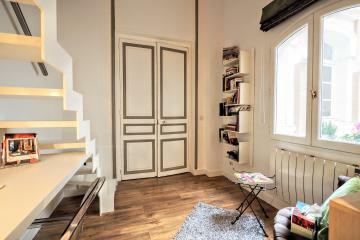 1850's Building, 1 st floor, without Lift, 1 bedroom Appartement, furnished, Approx: 46m² / 495 Sq.Ft.